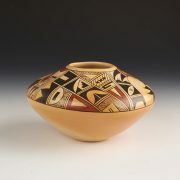 Here is a new hand coiled and traditionally fired Navajo jar by Alice Cling. 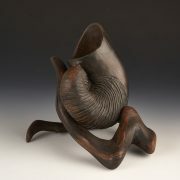 She has expertly carved a with a square opening. 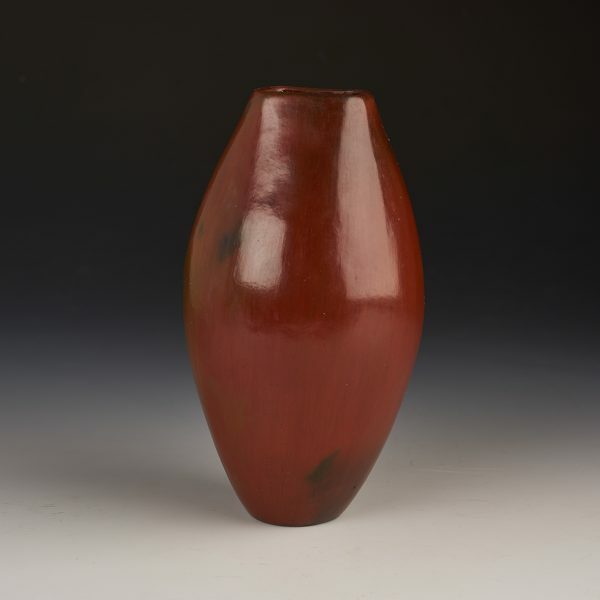 This was a beautifully fired piece, as all the natural orange/red/and black tones show so well.